One of the things that I vividly remember from my school days is exchanging greeting cards among friends with short poems and warm wishes written in them. 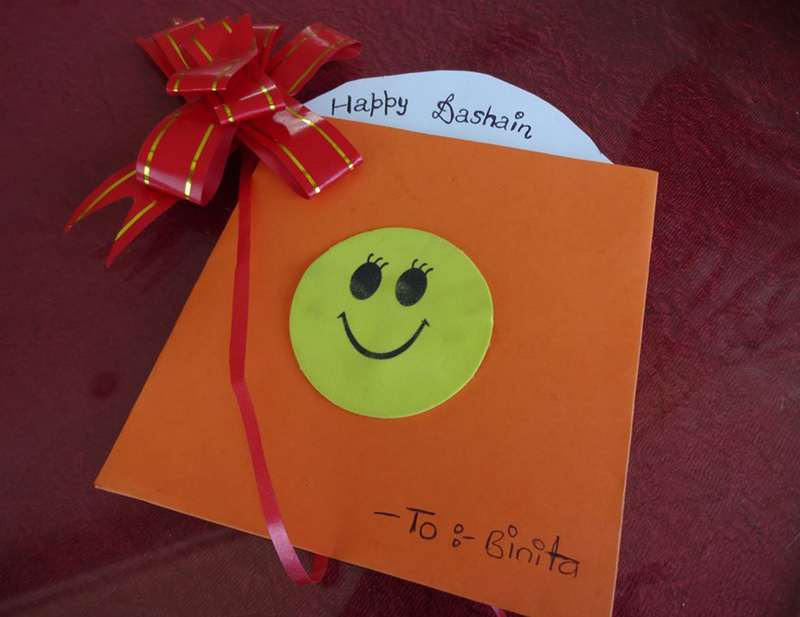 When there was enough savings from our pocket money, we would buy glittered and fancy greeting cards. 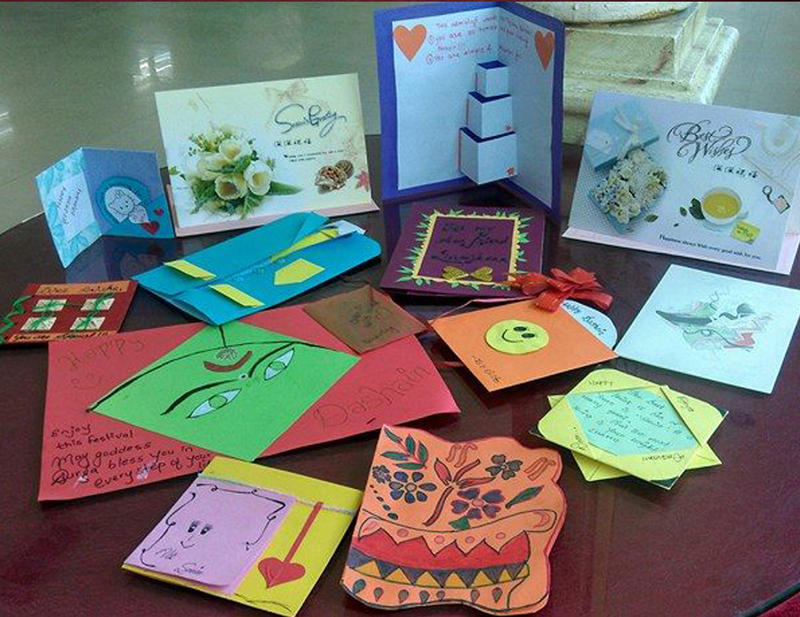 More often, there was not enough savings so we would become creative and craft beautiful handmade cards. I always preferred, and still prefer, the latter since that feels more personal. This was usually done at holidays, especially the Dashain Festival which is the most widely celebrated festival in Nepal and also marks the longest vacation period in the country. At present, Dashain is right around the corner. With an aim of fostering sisterhood, friendship and positivity in addition to marking the arrival of this auspicious occasion, during our last scholars meeting BMKF students participated in a fun exercise called “Secret Admirer Game”. 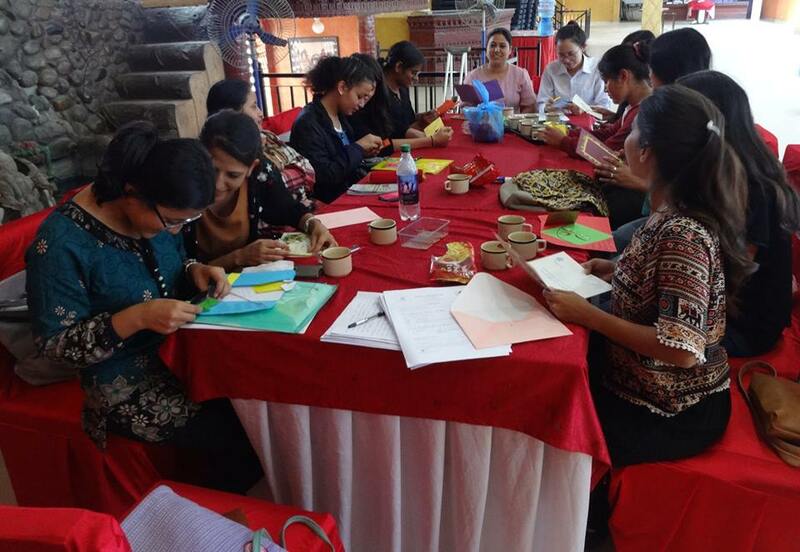 Each scholar was privately given a name of a fellow scholar and asked to write two things that they admired most about the recipient in a handmade greeting card of their own creation. As the name of the game suggests, the scholars were told the card giving would be anonymous and who wrote each message would remain secret. After finishing the formal meeting agenda, scholars frolicked towards the table where the cards were randomly assorted with the name of each recipient. From the very moment they discovered their cards, opened and read the message, a huge smile materialized in each of their faces (which was another hidden aim of the game). 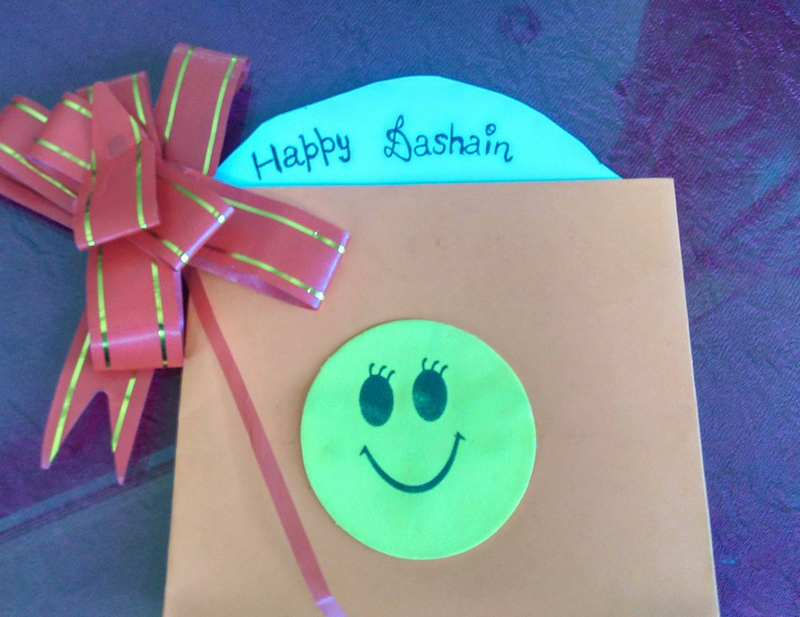 Along with the pleasure of receiving a card with lovely wishes for the festival and knowing what their fellow sister admired about them, there was a curiosity in their eyes wondering who was their secret admirer. What a great moment!